label the person by their behavior. ie. Sexist, racist, pessimist, pervert, etc etc. Erving Goffman and many others. 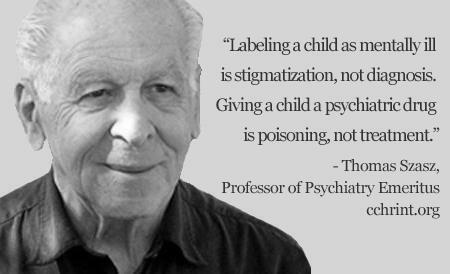 Basically stating that “Labeling theory holds that deviance is not inherent to an act, but instead focuses on the tendency of majorities to negatively label minorities or those seen as deviant from standard cultural norms”. And “…satisfies society’s need to control the behavior”. Tannenbaum found that “This initial tagging may cause the individual to adopt it as part of their identity. The crux of Tannenbaum’s argument is that the greater the attention placed on this label, the more likely the person is to identify themselves as the label. So where am I leading from all of this? Well it seems like in 2014 we seem to have forgotten this simple premise. Since the Ted talk given by Susan Cain, on The Power of Introverts, it seems like everybody that has ever felt shy in their past are now labeling themselves as introverts, as though it is a great badge of honor to carry this or any other label. poor at governing (need to send soldiers off to war). We all seem to want to find our place and now if we don’t want to be part of this labeling caper we can end up the deviant or heretic. “…refusing to be classified it is him they blame the most” Dire Straits, Industrial Disease. Well I am saying it here that I refuse to agree to classifying or labeling either myself or others. I may do it in error or habit at times, which is understandable, but still not acceptable to me.